wrightwing wrote: In reading from numerous articles, it would seem that they're referring to an onboard sensor, which is likely IRST. There have also been references to a DAS-lite capability. While the AAR-56 itself can generate a video image, it only passes a track to the main computer. The datalinks and software int eh main computer will need to be updated to deal with a video stream. Btw, the left circle is not an AAR-56. 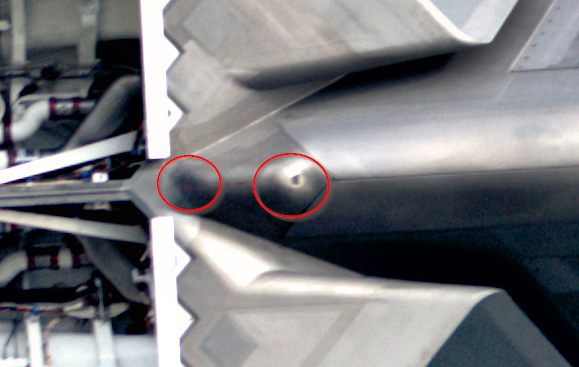 1 on ether side of the nose (your right-side red circle) beneath the air-data probe. Here are the upper and lower AAR-56 locations (4 in total) to add to the 2 side facing nose locations. 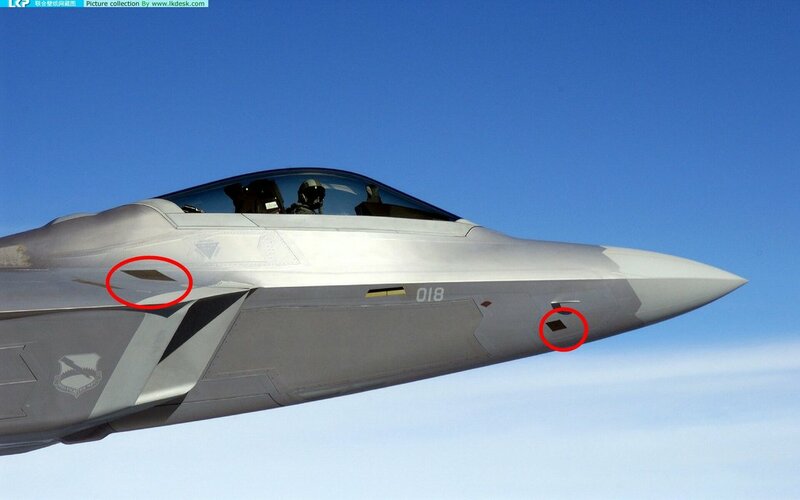 IRST system can easily outrange radar if the target is extremely hot like large rocket or possibly even fighter jet in AB in some cases. It can also outrange radar if it has very narrow FoV (large magnification) and very sensitive detector with high resolution. Naturally a lot depends on target features like how much heat it pumps out and what kind of RCS it has. Another big factor is the weather and other conditions. In very clear weather against hot high altitude target IRST could have very long range. Not so much against target flying behind clouds or rainfall. Naturally IRST systems have very limited way of telling target range, speed and heading. Of course if IRST system and radar are working together, they might be able to improve overall target detection and tracking capabilities and in some cases could also have significantly longer range performance than either sensor alone.